Astro turf is popular outdoor carpeting for patios and decks. Unfortunately, years of wear and tear can cause the flooring to disintegrate. In addition, spills and burns from outdoor kitchens can ruin the aesthetics of astro turf. To prevent any future problems with your astro turf, avoid placing a grill on the outdoor area or conducting any home improvement projects that can lead to spilled gasoline. Remove your damaged astro turf to make way for new flooring. Use a utility knife to cut the astro turf into manageable strips for carrying to the trash. Be careful to not harm the flooring underneath. Lift the astro turf from the edges that have not been glued. If you try to lift the outdoor carpeting from the glued edge, you will wind up ripping the turf. Place the old astro turf into garbage bags for removal. Remove difficult astro turf by pouring boiling water on the area. 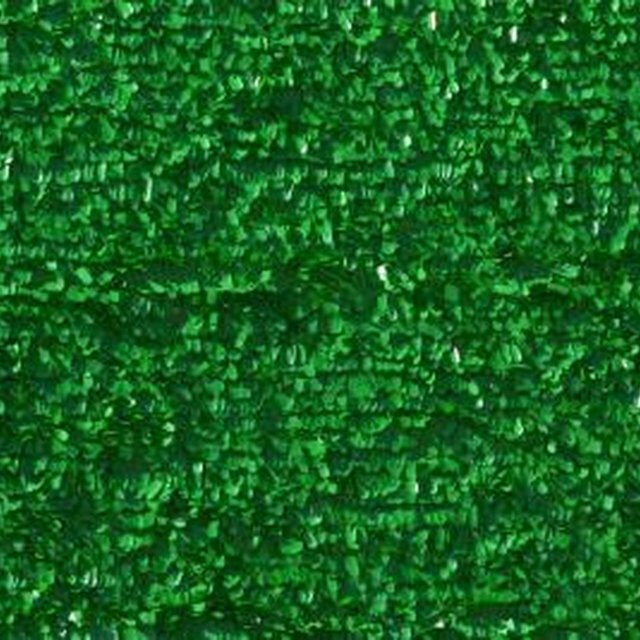 Use a putty knife to slide between the flooring and astro turf. Soften the glue with a heat gun and scrape it off the floor with a trowel. Use an adhesive remover like Jasco Adhesive Remover or De-Solv-It to remove the adhesive from the floor. Sweep the flooring and make any necessary repairs like nailing down protruding nails or cracked wood. Sand down any leftover glue for a smooth surface.